That day I crossed the line. 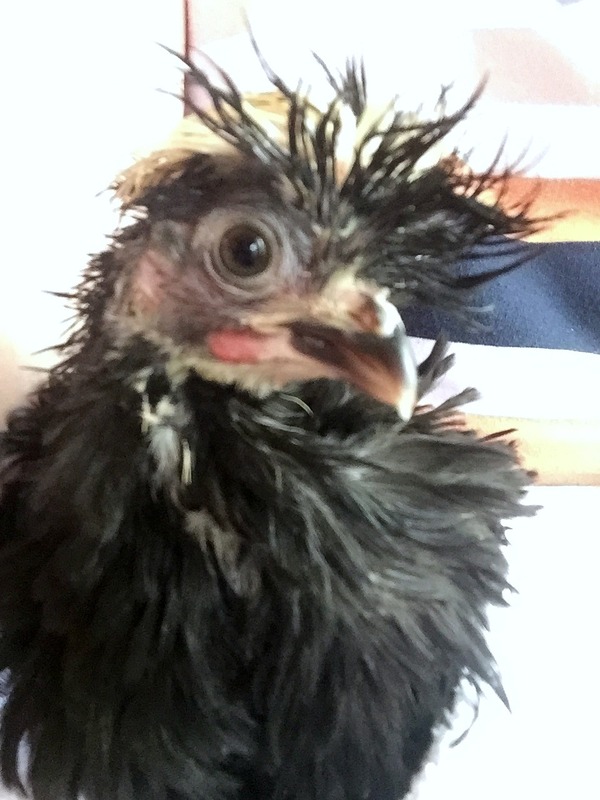 Our crazy little polish frizzle chick struggles on. 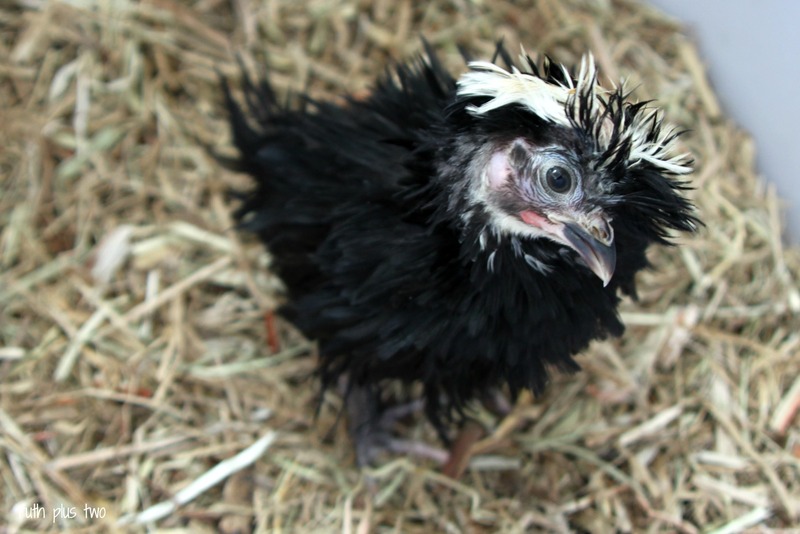 I’m still not sure whether we’ve got a pullet or cockerel on our hands, but Frizzle’s certainly one cute chick. We’ve just hit the two week mark of wry neck. Frizzle’s grown heaps, and is eating and drinking well (with a little help). His (?) 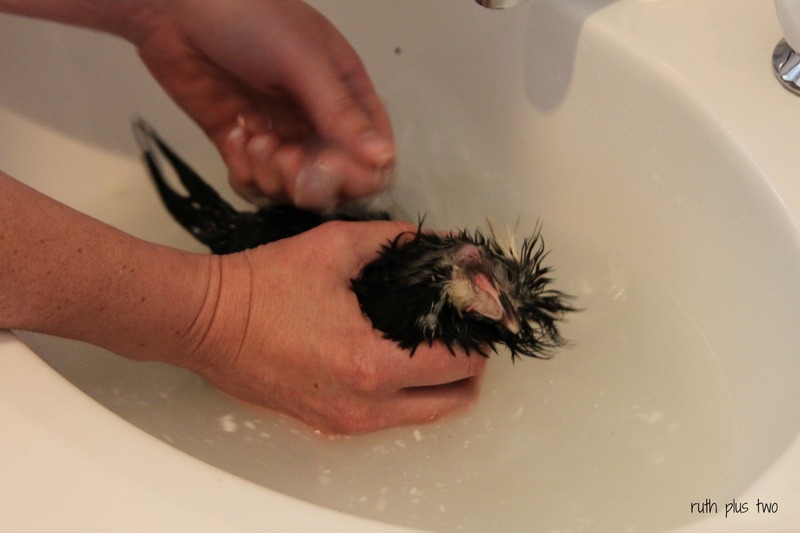 little neck still has it’s spasms when he gets stressed, but he is improving. When he gets in a tizz he goes in backwards circles. It’s all rather upsetting – and gross, given he has been tracking his way over breakfasts of tuna and poached egg leftovers. We have a story about the stinky dinky winky wonky donkey. Friz would definitely be in the running for that mantle if it was open to chickens. Anyway, he’s been getting bigger and stronger despite the neck issues so I decided to give him a bath. Elena sang a song as we dried our baby after his bath. He’s much fluffier and sweet smelling now. Much better for chicken cuddles. Here’s hoping his health continues to improve. I suspect today might go down as the day I crossed the line from (relatively) sane to crazy chicken lady. 6 Responses to That day I crossed the line. He is so cute though. It’s hard to resist becoming the crazy chicken lady. I’d be a crazy chicken lady before I would be a crazy cat lady! oh yes… TOTALLY crazy chicken lady (but so lovely with it)! You know what I’d have done by now… 😉 sorry, I’m maybe not quite so crazy chicken lady. 🙂 I thought of you as I was drying him off. My conclusion was you’d chuckle and shake your head! I have nothing to say – I’m laughing too hard. Cute. 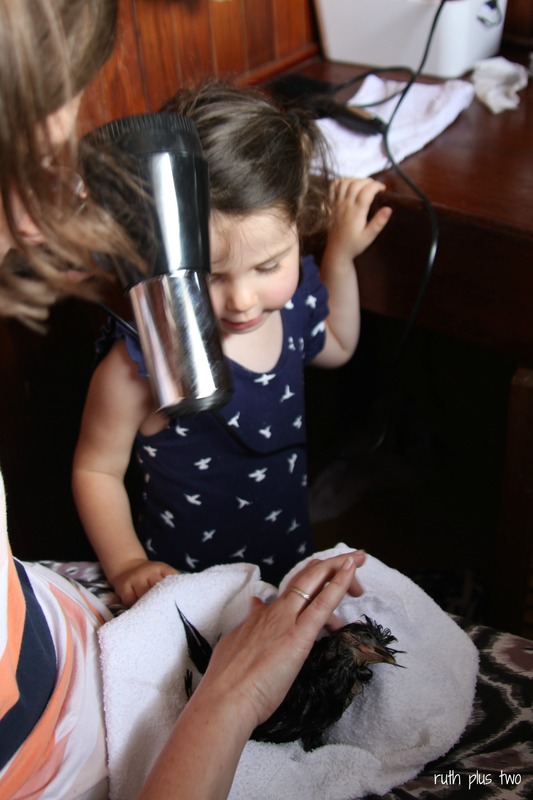 Maybe you can up crazy to the day you start straightening Friz’s feathers?